Please, register your flights (kordyuk@imp.kiev.ua), to be met at the airport. For those who travel on one's own, the following information can be useful. Boryspil International Airport (IATA: KBP) is about 20 km south-east from the city border (40 minutes by car from the city center). The city's second airport Zhulyany (IATA: IEV), used mostly for domestic flights and low cost airline WizzAir, is located within the city border (20 minutes from the centre). Taxi from the Boryspil airport starts from 200 UAH (about 20 EUR) to the city centre when you book in advance and call a cab from the city. The official taxi service at the airport (Sky Taxi, the cash desk is just in between custom and exit from the terminal) is slightly more expensive (6.50 UAH/km, 34 km to the city centre, and 55 km to the ES&ES Conference site). Unofficial cabs may demand much higher prices, so feel free to bargain and always arrange the price before you enter the cab. The cheapest way to get to the city centre from Boryspil airport is the Sky Bus that operates a regular bus service between the airport and Central Railway station. Buses depart frequently and the cost is 27 UAH. Tickets are bought from Kiyavia booking-offices in Terminal F and B or online on the web-site www.skybus.kiev.ua. On average, it takes 40-70 minutes to get to city center by bus. To find the buses, you must walk over to terminal "B" and they will be outside, which is to the right of the arrival terminal. Buses terminate at the southern side of the railway station, while the metro (Vokzalna station) is on the northern side. 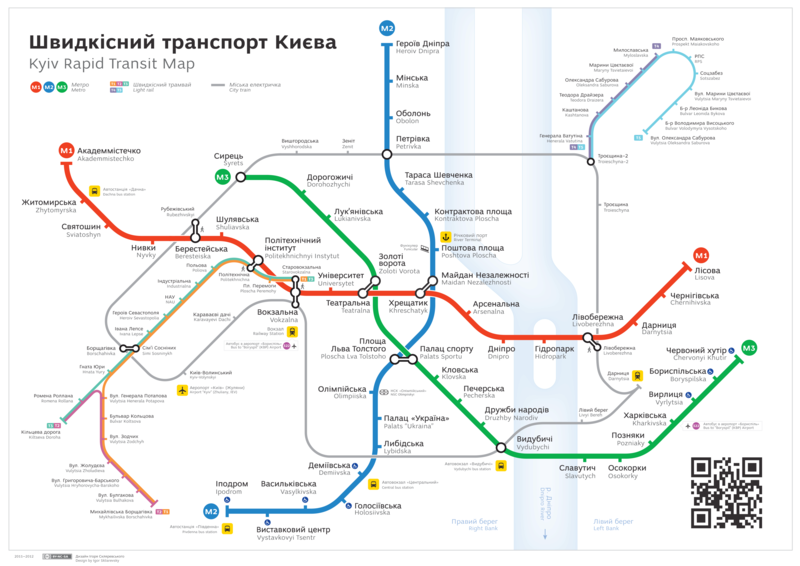 To change for the metro, enter the railway terminal, follow the bridge over the railway, leave the building, and turn left. If you are arriving at Zhulyany (IEV) you can use Kiev's public transport to reach city center or your accommodation but we suggest to use taxi. 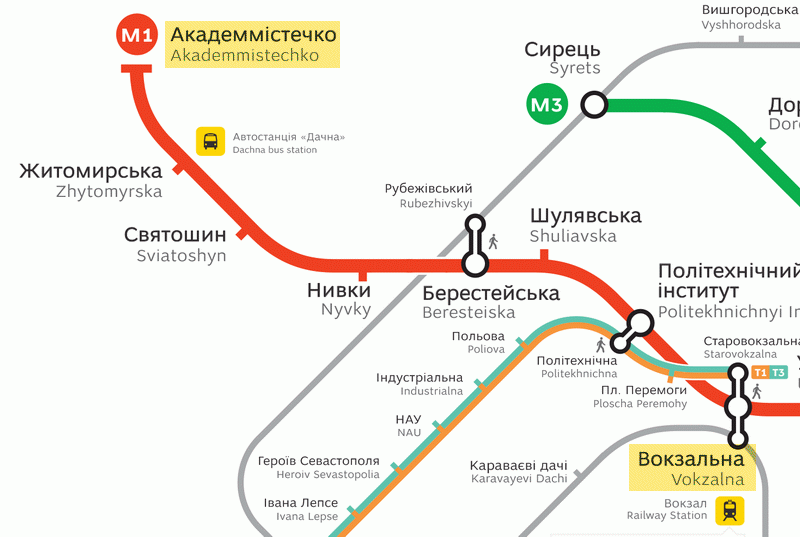 It is about 14 km to the Institute of Metal Physics and a bit less to the Verhovyna hotels. Kiev's central railway station Kiev Passazhyrskyi is close to the city centre. The terminal building comprises two separate buildings adjoined by a bridge. The building on the northern side (main station) is near the Metro station Vokzalna on the M1 line. One needs the last station (to the West) of this line, Academmistechko, to rich the Institute of Metal Physics. To enter Ukraine, visas are not required for citizens of the European Union, Switzerland, United States, Canada, Japan, South Korea, and some other countries. People from China generally need visas unless they have either diplomatic of service passports. Russians are suggested to use the internal passports. Check here for other countries.